If we are leading growth companies, we have an obligation to our communities, our clients, and our employees. We are in a strong position to fulfill this obligation. Our revenues are solid, we boast marquis clients, and are respected in our field. Our clients look to us to lead the way on many fronts. 2. Practice client-focused mastery (CFM). • Listen closely to your clients. Arrange strengths surveys with outside objective interviewers. • Tighten up your professionalism. When you mess up, fess up. Develop clear response systems; e.g. respond to voicemails in 3 hours or less. Answer ALL emails within 1 day. People are instant response junkies these days. Show them you are on top of your game. • Make it very easy for people to buy from you. Create an introductory service, low-cost booklet, CD kit, or DVD for sale. Or create an experience for them to get a sample of what you offer (seminar, consultation, survey). 3. Be conscious of the company you keep and the language you use. Surround yourself with positive people and clients. Invest time to identify high-potential prospects that are successful. Use language such as “thrive”, not “survive”. Stay out of the coffee room conversations about how bad things are. Some clients want to commiserate and complain. Don’t linger on these negative topics. You are only pouring gasoline on the fire. 4. Do not think that time and money are resource issues. They are a question of priority. If your clients tell you that they are too busy, or they do not have a budget, it is not a resource issue. You have simply not proven that you offer enough value for them to move ahead. Before you can help a client see your value, model the behavior of priority setting and focus in your own business. Shed weight in your operation. Get rid of deadbeat clients, low return projects, and uninspiring non-profit commitments. 5. Negotiate terms, not fees. The exception is when a client loses their loans or is illiquid. Extending payment terms to 3 payments instead of two payments over 90 days is fine, especially if they are an existing ideal client. But resist the temptation to drop your fees to get clients! Your brand erosion is difficult to reclaim during the recovery. Instead, create some low-cost introductory products and sell them on your website. 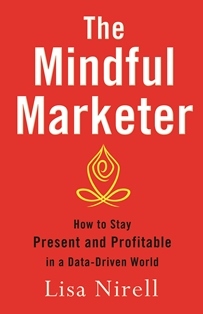 My thanks to Alan Weiss for offering brilliant insights into marketing your value through Value-Based Fees. Make this a must read. We cannot deny that many of our clients are scared. They are indecisive and may even suffer from health issues and sleepless nights. Some blame their woes on the government. Some just hide and hope the economy will improve. As trusted advisors running growth companies, we can choose to commiserate with them or take the high road. I suggest you take the high road. Now is the time to prove you are a community leader, not just an industry leader. These five strategies will help.